If your home was built using a pier and beam foundation , there are some common issues that you may be forced to deal with over the years. Fortunately, these issues can be fixed by working with a company that understands how to address problems with your pier and beam foundation in San Antonio. But you will need to contact them at the first sign of trouble in order to prevent bigger problems that could compromise the strength of your foundation. 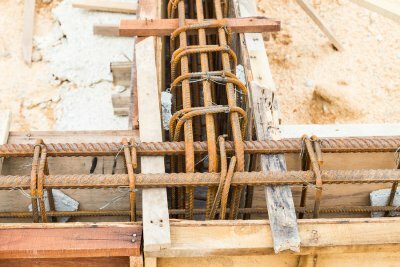 Check out some of the issues that occur with pier and beam foundations. Do your floors feel like they are uneven? If you rely on a pier and beam foundation, you probably aren’t just imagining it. As your home settles into the soil beneath it, the piers used to hold it up can sink unevenly, and it will cause the floors in your home to be uneven. Fortunately, you can have pier and beam foundation repair done and fix this issue rather easily. A foundation repair company will usually install shims or other foundation supports to your home’s foundation to make everything inside of it level again. The piers that are used in a pier and beam foundation are not meant to last forever. Due to age or the environment, concrete piers can crack and, when they do, they will often cause problems for homeowners. If you suspect that your concrete piers might be collapsing, you should reach out to a foundation repair company right away to have an inspection of your foundation completed. That company will be able to adjust your concrete piers or replace them, if necessary. Because of the way that pier and beam foundations are constructed, moisture can work its way into the wooden beams and joists that are used under your home. It will sometimes lead to mold and mildew growing, and it will also take a toll on the wood and cause it to rot. By replacing any wood affected by excessive moisture, you can keep your pier and beam foundation strong.